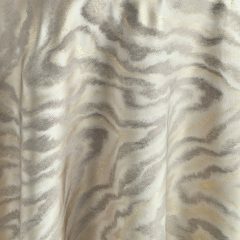 The pattern of this sophisticated linen is like an icy frost flowering and aflame in the mid-winter sun. Aged-gold icicles create an event full of glistening wonder. To bring a soft, glamorous sparkle to your tablescape, choose Antique Tinsel. 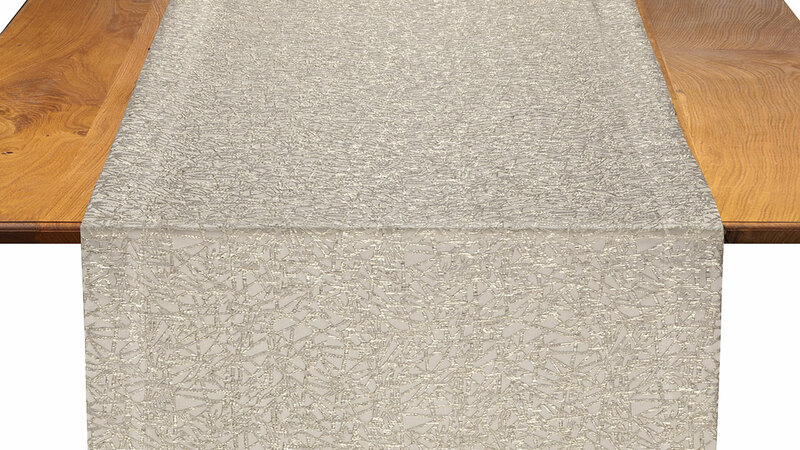 This linen echoes the lines of ice crystals glittering and gilded in the mid-winter sun. 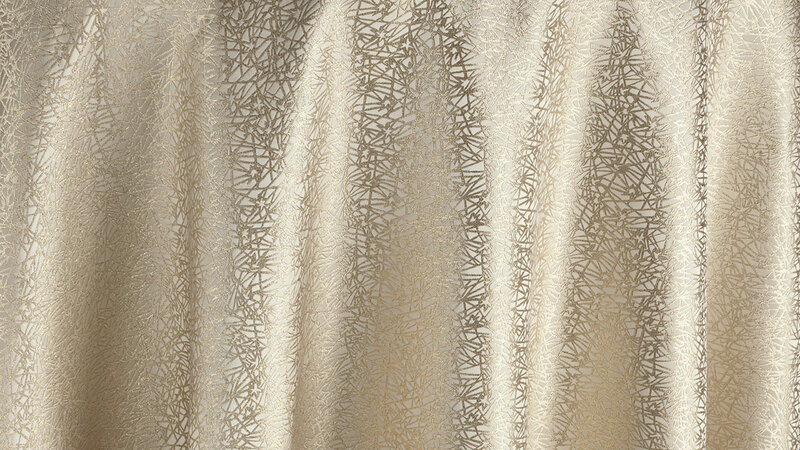 Like the golden tinsel of antique Christmas trees, this linen delivers the sparkle and movement to your event. 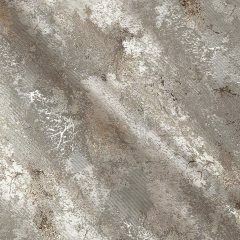 Rent it here along with other linen from our Winter Solstice Collection. 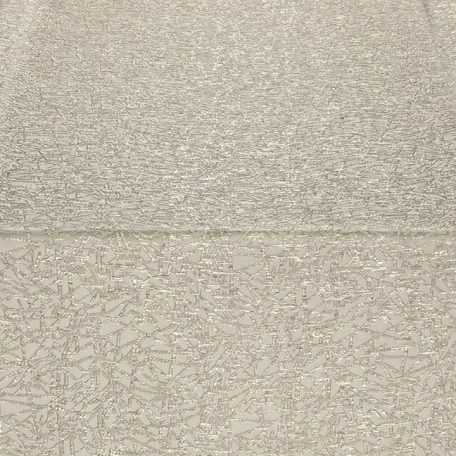 Flax Travertine. You will be able to use throughout the four seasons, but start off your annual celebrations with a homage to all of the things that make us love the winter. The vibrant energy given off by this fabric will make you want to turn up the AC, to keep it cool. One can always match up with the anticipated silver hues, or set it off with a burst of an invigorating blue, an intense pink, vibrant lime, outrageous orange, etc, etc. There is no end to the fabulous combinations you will be able to create. 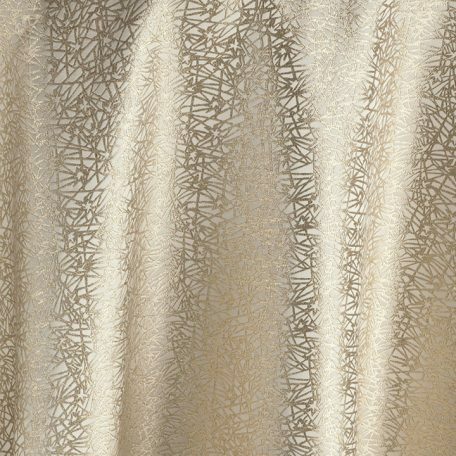 Inspired by the Swedish celebration of St. Lucia?s day, the longest night of the year, this linen provides a refined, luxurious backdrop to any long night?s festival. 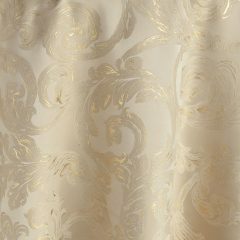 A swirling pattern of vintage-gold garland, Antique Lucia celebrates your event with glimmers of gold on luminescent ivory. Bringing light to the longest night of the year, this linen is the quintessence of sunlight and provides a radiant foundation for your tablescape.